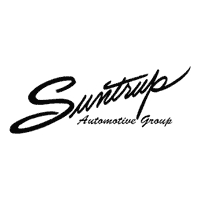 Suntrup Automotive Group has nine brands, eleven locations, thousands of vehicles and is committed to providing excellent customer service in every aspect of the business. This Summit White 2019 GMC Terrain SLE might be just the SUV for you. Drive away with an impeccable 5-star crash test rating and prepare yourself for any situation. Rocking a suave white exterior and a jet black interior, this car is a great pick. Don't sit on this decision for long...schedule your test drive today! * After market Equipment may not be reflected in the price above **Price does not include $199 painted pinstripe were applicable, Processing fee of $179, Tax, Title or License. For the Greatest Customer Experience, contact our Internet Team at 636-936-9794. For a top driving experience, check out this 2019 GMC Terrain SLE with a push button start, backup camera, Bluetooth, braking assist, hill start assist, stability control, traction control, anti-lock brakes, dual airbags, and side air bag system. You can trust this SUV because it has a crash test rating of 5 out of 5 stars! Exhibiting a ravishing white exterior and a jet black interior, this vehicle won't be on the market for long. Call today and take this one out for a spin! * After market Equipment may not be reflected in the price above **Price does not include $199 painted pinstripe were applicable, Processing fee of $179, Tax, Title or License. For the Greatest Customer Experience, contact our Internet Team at 636-936-9794. With top features including the push button start, backup camera, Bluetooth, braking assist, hill start assist, stability control, traction control, anti-lock brakes, dual airbags, and side air bag system, this 2019 GMC Terrain SLE is a great decision. This safe and reliable SUV has a crash test rating of 5 out of 5 stars! Exhibiting a stunning white exterior and a jet black interior, this vehicle won't be on the market for long. Don't wait on this one. Schedule a test drive today! * After market Equipment may not be reflected in the price above **Price does not include $199 painted pinstripe were applicable, Processing fee of $179, Tax, Title or License. For the Greatest Customer Experience, contact our Internet Team at 636-936-9794. It doesn't get much better than this 2019 GMC Terrain SLE, which boasts a push button start, backup camera, Bluetooth, braking assist, hill start assist, stability control, traction control, anti-lock brakes, dual airbags, and side air bag system. Be sure of your safety with a crash test rating of 5 out of 5 stars. Complete with a stunning white exterior and a jet black interior, this vehicle is in high demand. Good cars sell fast! Give us a call and schedule an appointment today! * After market Equipment may not be reflected in the price above **Price does not include $199 painted pinstripe were applicable, Processing fee of $179, Tax, Title or License. For the Greatest Customer Experience, contact our Internet Team at 636-936-9794. It doesn't get much better than this 2019 GMC Terrain SLE, which boasts a push button start, backup camera, Bluetooth, braking assist, hill start assist, stability control, traction control, anti-lock brakes, dual airbags, and side air bag system. This SUV scored a crash test safety rating of 5 out of 5 stars. Exhibiting a sleek white exterior and a jet black interior, this vehicle won't be on the market for long. Make your move before it's too late schedule a test drive today! * After market Equipment may not be reflected in the price above **Price does not include $199 painted pinstripe were applicable, Processing fee of $179, Tax, Title or License. For the Greatest Customer Experience, contact our Internet Team at 636-936-9794. This Smokey Quartz Metallic 2019 GMC Terrain SLE might be just the SUV for you. This SUV is one of the safest you could buy. It earned a crash test rating of 5 out of 5 stars. Drivers love the classic dk. gray exterior with a jet black interior. Call today to test it out! * After market Equipment may not be reflected in the price above **Price does not include $199 painted pinstripe were applicable, Processing fee of $179, Tax, Title or License. For the Greatest Customer Experience, contact our Internet Team at 636-936-9794. Outfitted with a push button start, backup camera, Bluetooth, braking assist, hill start assist, stability control, traction control, anti-lock brakes, dual airbags, and side air bag system, this 2019 GMC Terrain SLE is a true steal. With a crash test rating of 5 out of 5 stars, everyone can feel secure. Complete with a charming white exterior and a jet black interior, this vehicle is in high demand. Call today to schedule your test drive! * After market Equipment may not be reflected in the price above **Price does not include $199 painted pinstripe were applicable, Processing fee of $179, Tax, Title or License. For the Greatest Customer Experience, contact our Internet Team at 636-936-9794. This 2019 GMC Terrain SLE is a great option for folks looking for top features like a push button start, backup camera, Bluetooth, braking assist, hill start assist, stability control, traction control, anti-lock brakes, dual airbags, and side air bag system. This SUV scored a crash test safety rating of 5 out of 5 stars. Complete with a gorgeous white exterior and a jet black interior, this vehicle is in high demand. Call and schedule your test drive today! * After market Equipment may not be reflected in the price above **Price does not include $199 painted pinstripe were applicable, Processing fee of $179, Tax, Title or License. For the Greatest Customer Experience, contact our Internet Team at 636-936-9794. It doesn't get much better than this 2019 GMC Terrain SLE, which boasts a push button start, backup camera, Bluetooth, braking assist, hill start assist, stability control, traction control, anti-lock brakes, dual airbags, and side air bag system. With a crash test rating of 5 out of 5 stars, everyone can feel secure. Drivers love the timeless white exterior with a jet black interior. Interested? Call today and schedule a test drive! * After market Equipment may not be reflected in the price above **Price does not include $199 painted pinstripe were applicable, Processing fee of $179, Tax, Title or License. For the Greatest Customer Experience, contact our Internet Team at 636-936-9794. For a top driving experience, check out this 2019 GMC Terrain SLE with a push button start, backup camera, Bluetooth, braking assist, hill start assist, stability control, traction control, anti-lock brakes, dual airbags, and side air bag system. Stay safe with this SUV's 5 out of 5 star crash test rating. With a sharp white exterior and a jet black interior, this vehicle is a top pick. Don't wait until it is too late! Call today to schedule an appointment. * After market Equipment may not be reflected in the price above **Price does not include $199 painted pinstripe were applicable, Processing fee of $179, Tax, Title or License. For the Greatest Customer Experience, contact our Internet Team at 636-936-9794. For a top driving experience, check out this 2019 GMC Terrain SLE with a push button start, backup camera, Bluetooth, braking assist, hill start assist, stability control, traction control, anti-lock brakes, dual airbags, and side air bag system. This safe and reliable SUV has a crash test rating of 5 out of 5 stars! Exhibiting a suave white exterior and a jet black interior, this vehicle won't be on the market for long. Don't wait on this one. Schedule a test drive today! * After market Equipment may not be reflected in the price above **Price does not include $199 painted pinstripe were applicable, Processing fee of $179, Tax, Title or License. For the Greatest Customer Experience, contact our Internet Team at 636-936-9794. This Graphite Gray Metallic 2019 GMC Terrain SLE might be just the SUV for you. With an unbeatable 5-star crash test rating, this SUV puts safety first. Rocking a suave gray exterior and a jet black interior, this car is a great pick. Interested? Call today to take this vehicle for a spin! * After market Equipment may not be reflected in the price above **Price does not include $199 painted pinstripe were applicable, Processing fee of $179, Tax, Title or License. For the Greatest Customer Experience, contact our Internet Team at 636-936-9794. Equipped with a push button start, backup camera, Bluetooth, braking assist, hill start assist, stability control, traction control, anti-lock brakes, dual airbags, and side air bag system, this 2019 GMC Terrain SLE is a must for smart drivers everywhere. Drive away with an impeccable 5-star crash test rating and prepare yourself for any situation. Flaunting a classic dk. blue exterior and a jet black interior. Don't wait on this one. Schedule a test drive today! * After market Equipment may not be reflected in the price above **Price does not include $199 painted pinstripe were applicable, Processing fee of $179, Tax, Title or License. For the Greatest Customer Experience, contact our Internet Team at 636-936-9794. It doesn't get much better than this 2019 GMC Terrain SLE, which boasts a push button start, backup camera, Bluetooth, braking assist, hill start assist, stability control, traction control, anti-lock brakes, dual airbags, and side air bag system. With an unbeatable 5-star crash test rating, this SUV puts safety first. Exhibiting a suave dk. red exterior and a jet black interior, this vehicle won't be on the market for long. Don't sit on this decision for long...schedule your test drive today! * After market Equipment may not be reflected in the price above **Price does not include $199 painted pinstripe were applicable, Processing fee of $179, Tax, Title or License. For the Greatest Customer Experience, contact our Internet Team at 636-936-9794. Get ready to go for a ride in this 2019 GMC Terrain SLE, which comes equipped with a push button start, backup camera, Bluetooth, braking assist, hill start assist, stability control, traction control, anti-lock brakes, dual airbags, and side air bag system. Want a SUV you can rely on? This one has a crash test rating of 5 out of 5 stars! With a timeless dk. blue exterior and a jet black interior, this vehicle is a top pick. Call today and take this one out for a spin! * After market Equipment may not be reflected in the price above **Price does not include $199 painted pinstripe were applicable, Processing fee of $179, Tax, Title or License. For the Greatest Customer Experience, contact our Internet Team at 636-936-9794. For a smoother ride, opt for this 2019 GMC Terrain SLE with a push button start, backup camera, Bluetooth, braking assist, hill start assist, stability control, traction control, anti-lock brakes, dual airbags, and side air bag system. Want a SUV you can rely on? This one has a crash test rating of 5 out of 5 stars! With a beautiful silver exterior and a jet black interior, this vehicle is a top pick. Don't wait until it is too late! Call today to schedule an appointment. * After market Equipment may not be reflected in the price above **Price does not include $199 painted pinstripe were applicable, Processing fee of $179, Tax, Title or License. For the Greatest Customer Experience, contact our Internet Team at 636-936-9794. You'll love getting behind the wheel of this 2019 GMC Terrain SLE, which is complete with amenities such as a push button start, backup camera, Bluetooth, braking assist, hill start assist, stability control, traction control, anti-lock brakes, dual airbags, and side air bag system. Drive away with an impeccable 5-star crash test rating and prepare yourself for any situation. Complete with a ravishing gray exterior and a jet black interior, this vehicle is in high demand. This is the vehicle you have been waiting for! Call now to schedule a test drive! * After market Equipment may not be reflected in the price above **Price does not include $199 painted pinstripe were applicable, Processing fee of $179, Tax, Title or License. For the Greatest Customer Experience, contact our Internet Team at 636-936-9794. This 2019 GMC Terrain SLE includes a push button start, backup camera, Bluetooth, braking assist, hill start assist, stability control, traction control, anti-lock brakes, dual airbags, and side air bag system and is a car that deserves some serious attention. This SUV is one of the safest you could buy. It earned a crash test rating of 5 out of 5 stars. Complete with a classic silver exterior and a jet black interior, this vehicle is in high demand. Interested? Don't let it slip away! Call today for a test drive. * After market Equipment may not be reflected in the price above **Price does not include $199 painted pinstripe were applicable, Processing fee of $179, Tax, Title or License. For the Greatest Customer Experience, contact our Internet Team at 636-936-9794. This 2019 GMC Terrain SLE is complete with top-features such as the push button start, backup camera, Bluetooth, braking assist, hill start assist, stability control, traction control, anti-lock brakes, dual airbags, and side air bag system. Want a SUV you can rely on? This one has a crash test rating of 5 out of 5 stars! Flaunting a timeless gray exterior and a jet black interior. Interested? Call today and schedule a test drive! * After market Equipment may not be reflected in the price above **Price does not include $199 painted pinstripe were applicable, Processing fee of $179, Tax, Title or License. For the Greatest Customer Experience, contact our Internet Team at 636-936-9794. This 2019 GMC Terrain SLE features a push button start, backup camera, Bluetooth, braking assist, hill start assist, stability control, traction control, anti-lock brakes, dual airbags, and side air bag system and may just be the car you've been waiting for. This SUV is one of the safest you could buy. It earned a crash test rating of 5 out of 5 stars. Complete with a sharp dk. blue exterior and a jet black interior, this vehicle is in high demand. Call today to schedule your test drive! * After market Equipment may not be reflected in the price above **Price does not include $199 painted pinstripe were applicable, Processing fee of $179, Tax, Title or License. For the Greatest Customer Experience, contact our Internet Team at 636-936-9794. Suntrup Automotive Group	38.5214964, -90.3451239.